A treasure in one of the worlds most beautiful fjord ladscape, and the best view to Sognefjordens. The mountain Molden rises up to 1118 m.a.s.l.from Lustrafjorden in the innermost part of Sognefjorden. The amazing view to the fjord, glaciers and high peaks is stunning. 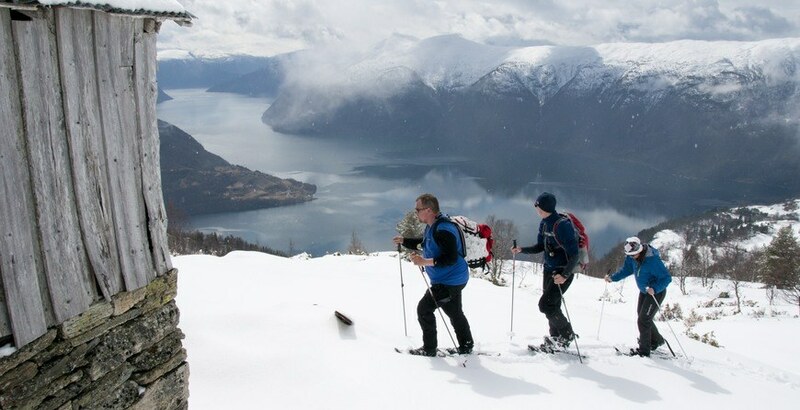 Jostedalen is a good place to stay if you want to join us for a guided day- hike to Molden. The Molden hike suits persons with normal physical health, and is estimate dto take 5-6 hours, depending on the weather and the gruop. 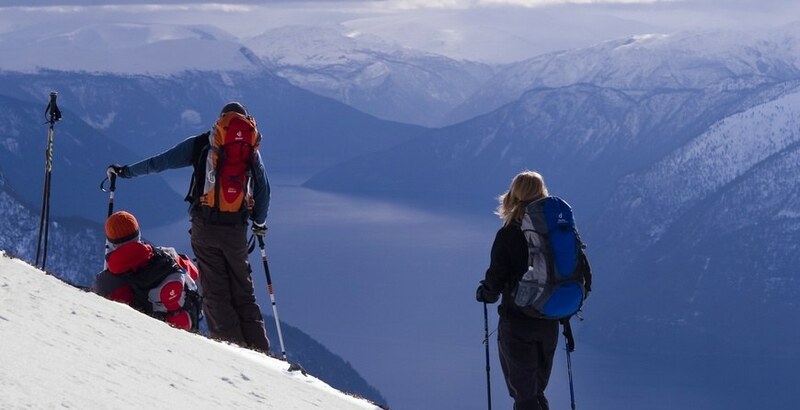 If snow, we use snowshoes or skiis, and in summer there is a good path leading to the summit. 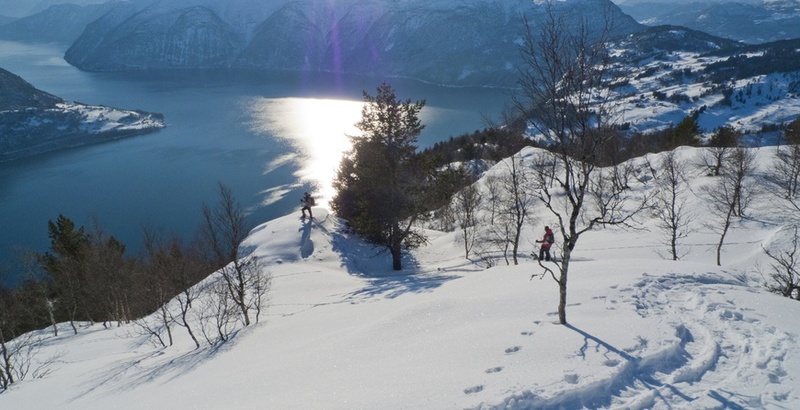 On request we can arrange hikes to other destination, by foot, with skiis or with snowshoes!